A restored stone cottage set in an idyllic, rural location near Nenagh, Ramblers Cottage is a wonderful choice for a self-catering holiday in County Tipperary. 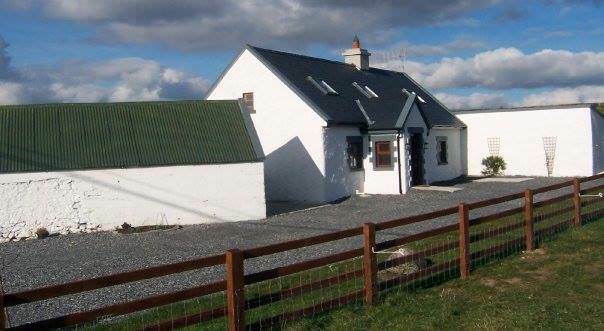 The cottage serves as an excellent base for golfers, anglers and those touring the region.Ramblers Cottage is a charming, restored stone cottage set on a working farm in a scenic, rural area just a short distance from Nenagh, County Tipperary. The cottage serves as an ideal base for angling, golfing and touring the region. The four-star cottage is beautifully furnished and features all modern conveniences, pine ceilings and wooden floors. On those chilly evenings, guests can curl up and relax in the warmth of the turf fire set in an old-style fireplace in the living room. In the kitchen/living area there is a traditional lofted room, which is a lovely space for children to sleep and play. At Ramblers Cottage, the kitchen provides all items needed to prepare gourmet-style meals. Follow the wooden floor hallway to the parlour bedroom with its high ceiling and a large double bed. Continue to the lean-to ensuite double bedroom. After a long day of travelling, guests can relax and unwind in the bath. In the area around Ramblers Cottage, theres no shortage of activities and attractions. It offers angling, golfing, walking, cycling, boat cruises and water sports on Lough Derg, and much more. Local attractions include the Portumna Castle and Gardens, St Ruadhans Abbey and Lackeen Castle.